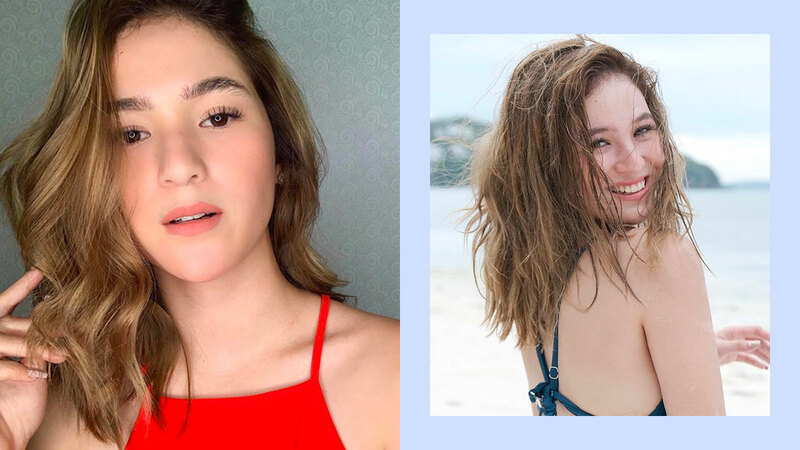 Barbie Imperial's long, chocolate brown locks are part of her signature look; they give her a good girl vibe, which was important for her leading role in the past ABS-CBN teleserye, Precious Hearts Romances Presents: Araw Gabi. She played Mich, the cheerful protagonist who always radiated positivity. Barbie now has honey blonde hair with sandy highlights and a layered lob! We think she's giving us living doll realness because LOOK. AT. THIS. GIRL. She is glowing! If you want to get sun-kissed hair like Barbie's, contact Jhay at these numbers for a cost estimate: 0917-2452526; 0920-8068875. Please do let us know if you finally decide to go blonde this summer—tag @cosmopolitan_philippines on your IG posts. We'd love to see your new look!